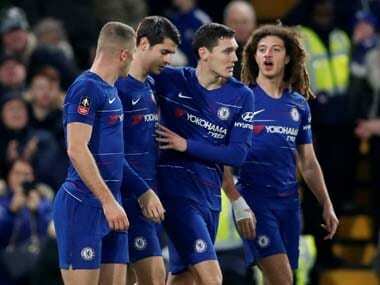 London: Alvaro Morata scored twice as holders Chelsea began their FA Cup defence with a 2-0 win over Nottingham Forest in a match where a tearful Cesc Fabregas appeared to bid farewell to English football. The third round is the stage where top-flight clubs enter the world's oldest senior knockout football tournament and has traditionally been associated with upsets. But after Saturday's second round of matches, the lone giant-killing act had seen third-tier Gillingham beat Premier League Cardiff 1-0, while second-tier Derby, managed by former England midfielder Frank Lampard, came from 2-0 down to draw 2-2 with top-flight strugglers Southampton. Both Morata and Fabregas have been linked with moves away from Stamford Bridge in the January transfer window, the latter is reportedly set to join a Monaco side managed by former Arsenal team-mate Thierry Henry. Fabregas should have opened the scoring in the 30th minute but his poor penalty, after a foul on Ruben Loftus-Cheek, was saved by goalkeeper Luke Steele. But two goals in the space of 10 minutes early in the second half from Morata, who had previously missed some clear chances, settled the tie. Teenage prospect Callum Hudson-Odoi was the provider on both occasions, his cross to the near post setting up Morata for his first goal since 29 November in the 49th minute before the striker made it 2-0 with a header. Cardiff, FA Cup finalists 11 years ago, conceded minutes from time when Gillingham midfielder Elliott List beat reserve goalkeeper Alex Smithies before the hosts survived more than eight minutes of extra time. It seemed Southampton were cruising into the fourth round following goals early in each half by Nathan Redmond but Derby hit back with two in quick succession after the hour mark through Jack Marriott and Tom Lawrence. Marriott then missed a chance to complete a comeback win when he blazed over the crossbar in stoppage time. Everton survived a scare to see off fourth-tier Lincoln 2-1 at Goodison Park. Ademola Lookman and Bernard put the Toffees 2-0 up by the 14th minute but the hosts, 58 places ahead of their opponents, struggled after Michael Bostwick pulled a goal back in the 28th minute. 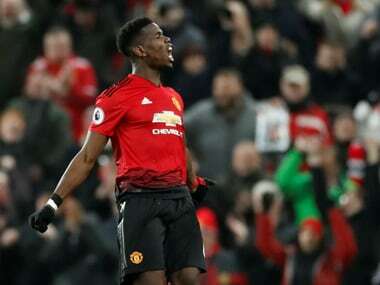 Earlier, Ole Gunnar Solskjaer enjoyed a fifth successive win since taking over as interim manager of Manchester United following the dismissal of Jose Mourinho with a 2-0 win over Reading. United, last season's losing finalists, scored twice before half-time, through Juan Mata and Romelu Lukaku. 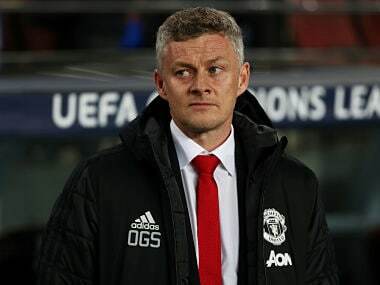 "You can't ask for more than going through but the way we played wasn't the best," Solskjaer told the BBC. 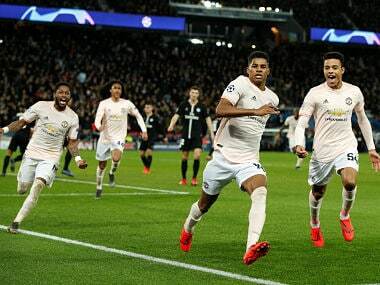 "But we made nine changes, so I made it hard for the boys because they hadn't played together too much but we got the goals and managed to get through," he added. Marko Arnautovic had a curious match as West Ham beat Championship club Birmingham 2-0. 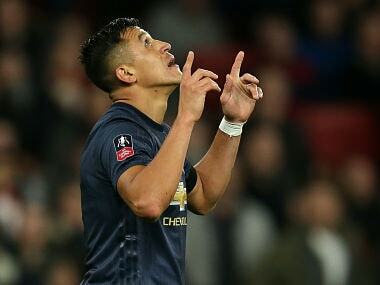 The Austrian striker scored as early as the second minute but was substituted after 19 minutes by manager Manuel Pellegrini. "He felt a pain in his back at the beginning," said Pellegrini, adding, "he wanted to continue after that, but it was not good to take a risk." Andy Carroll, the man who replaced Arnautovic, made it 2-0 in the 90th minute with his first goal since April. Elsewhere, an all-Premier League clash saw Brighton win 3-1 away to south coast rivals Bournemouth. Premier League strugglers Burnley needed a late penalty from Chris Wood to see off third-tier Barnsley 1-0. Arsenal had a bizarre build-up to their kickoff when a Blackpool fan climbed onto the roof of the coach taking the squad to Bloomfield Road. Eventually, after being spoken to by police officers, the man came down off the roof after some 40 minutes. Lancashire police then arrested the man. Liverpool, the Premier League leaders, play Wolves at Anfield on Monday. Tottenham Hotspur became the first club into the fourth round this season with a 7-0 rout of fourth-tier Tranmere on Friday.